Jon Mills is Dean Emeritus, Professor of Law, and Director of Center for Governmental Responsibility at UF’s Levin College of Law. He is Counsel to Boies, Schiller & Flexner LLP. 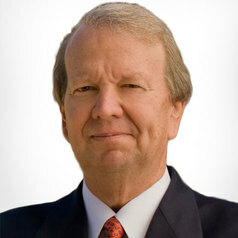 Mr. Mills is former Dean of UF Levin College of Law from 1999-2003 and former Speaker of the Florida House of Representatives, served as member of the 1997-1998 Florida Constitution Revision Commission (as Chair of Style and Drafting Committee and was selected Most Valuable Member). He was the reporter for the ABA’s Task Force on Preservation of the Justice System in 2011 and is a Fellow of the American Bar Foundation. Professor Mills teaches Privacy, State Constitutional Law, Law and Policy in the Americas and Legislative Drafting. He has taught and lectured on privacy in Germany, Great Britain, Poland, Brazil, Uruguay, and Argentina, and in the Department of States US Speakers and Specialists program. He has written books, reports and multiple law review articles on public policy issues including two books on privacy: Privacy: The Lost Right (Oxford University Press 2008) and Privacy in the Mew Media Age (University Press of Florida 2015). His chapter “Privacy in the Surveillance Era” was featured in After Snowden, which was published by St. Martin’s Press in 2015. He has been Principal Investigator on totaling over three million U.S. Dollars in research funding, including grants from U.S Department of State and the MacArthur Foundation.